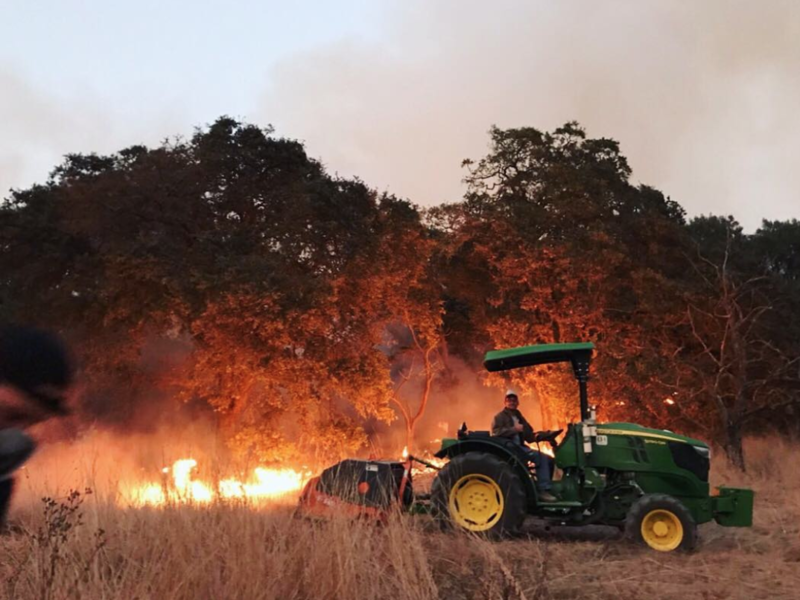 This special episode of Heritage Radio Network On Tour brings you the latest news on the California Wildfires that continue to burn throughout parts of Napa, Sonoma, Calistoga and Santa Rosa. We have updates from winemaker Robert Sinskey, Brian Kenny of Hearst Ranch, and more. Next, we take a look at some of the conditions that led to these fires. The New York Times published an article addressing the factors that made this wildfire season so deadly. Years of drought were followed by record amounts of rainfall, which spurred new plant growth, and then followed by months of extreme heat that withered the new growth and turned it into more tinder. Autumn winds from the northeast, known as diablo winds, began blowing through the region over the weekend at speeds of 70 miles an hour or more. It’s unknown what sparked the fires at this time, but state officials are looking into the possibility that downed power lines are one of the causes. This Petaluma Volunteer/Evacuee/Donation Info Doc has tons of info on current needs in the community if you are looking to help. GoFundMe now has a page aggregating the many fire relief funds now accepting donations on behalf of displaced Californians. 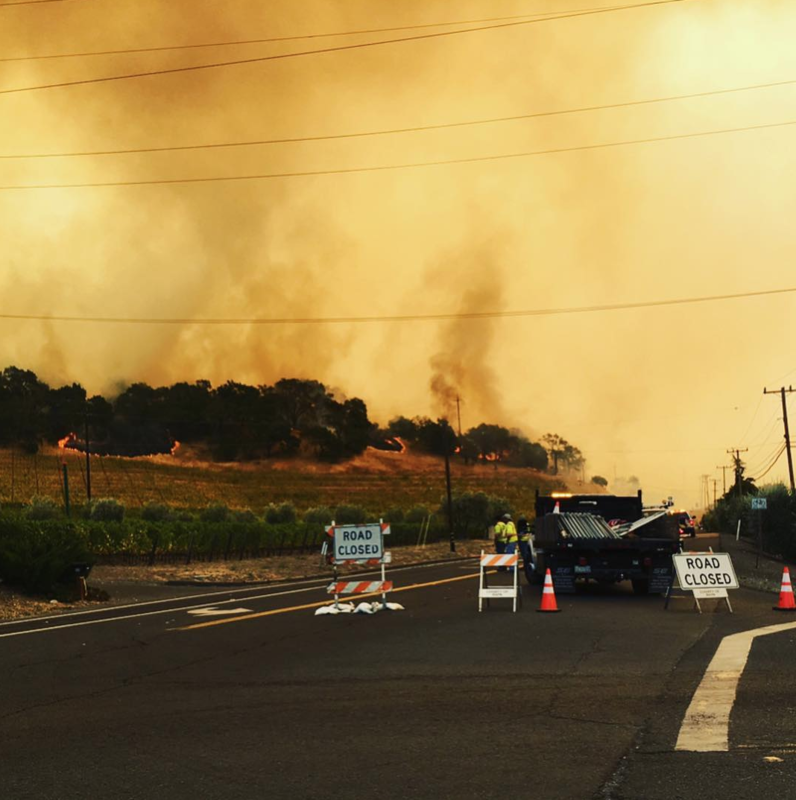 Eater SF notes that the Sonoma County Resilience Fund, the Napa Valley Community Foundation, and the Community Foundation of Mendocino County are all accepting donations. Airbnb expanded its disaster response program to include Berkeley and Oakland on top of San Francisco and “parts of Marin, Mendocino and North Alameda counties.” Evacuees can find shelter through October 30 with participating hosts in those cities. Consider donating to a food pantry. Here’s a list of food pantries in Napa County, food pantries in Yuba County and food pantries in Sonoma County. Donations can also be made to the Napa Valley Community Disaster Relief Fund. Donations for both Lake County and Mendocino County are being coordinated by the Savings Bank of Mendocino County. Donate to the American Red Cross. You can request via a drop-down menu that your donation go only to California wildfire victims, or donate to the organization’s broader disaster relief efforts.